When I was growing up, I had the opportunity to play the trumpet. I was no expert, but I did play in a number of churches over the years. I studied privately with a number of trumpet teachers. Many of these teachers recommended that I practice at least an hour every day. In addition, I was to spend some time in composition and music theory. That requirement is largely why I am not a good trumpet player today. But I digress…I do want to ask a question, How did I spend this practice time and how does this relate to preaching? And even more than preaching, living the Christian life. Well I spent a significant amount of time practicing the fundamentals of music. I played many scales and arpeggios (chords). I turned them into patterns and exercises. I played major and minor scales. I played them from memory as well as sight read the scales and patterns. I would play many different patterns and piece them together in different ways. I played them high, play them low, play them staccato, play them legato, play whole notes, half notes, quarter, etc. After playing around with scales, I would also play some music pieces. I would practice them with and without background music. This was a bit more enjoyable than playing scales and the time would go faster. I would then include time in improvisation. Here I would just play whatever I felt and whatever came to me. It was here that the fundamentals as well as the song playing came together in an interesting combination. For a time I also had some breath exercises to improve breath control and power. All of these things helped to make me a better trumpet player and a better musician. Then after all that, I would do some composition. Create simple songs. I would also transcribe some songs. TOO BAD I DIDN’T KEEP IT UP!!! 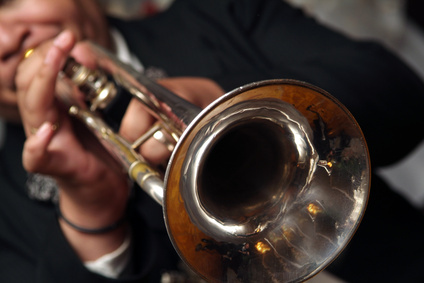 The other day I realized that I spent much more time practicing the trumpet than in practicing preaching. It is true that I do spend some time in sermon preparation, but that time is more comparable to my trumpet composition time than my trumpet practice schedule. Now someone might question whether such practice is necessary. Some might argue that one should totally depend on the Spirit for such things. I would disagree that practice demonstrates a lack of dependence on the Spirit. I practiced my trumpet diligetnly when I was to play in church. Why practice less when I am to preach? I began to think about how my sermonic presentation might improve if I tried to “practice” my preaching just as I practiced my trumpet. I admit that I often practiced my preaching by practicing a particular sermon, but my trumpet practice included more than just the piece of music I was to play. It included fundamentals and other components of musicianship. Because of this, I need to think about how a preaching practice session would look. First, we need some of the rudiments of preaching. Here we might practice the presentation of theological concepts and scriptural passages. For example, in the African American Church the concept of “God’s goodness” is often stated as “God is Good all the Time and All the Time God Is Good!” “Practicing” the presentation of this would include practicing preaching the concept in different ways. Think about preaching the concept in a funeral situation. How would it look? What texts would I use? Now think about preaching the concept at a 9-11 commemoration. Is it possible? Can we do it? Should we do it? Certainly the presentation would be different. Now think about preaching it at a church anniversary. In addition to these basic theological concepts (Henry Mitchell’s Soul Theology provides 10 for the African American church) I would also need to memorize scriptures. Why not look at fundamental texts that are important to your community. In the Original African American Bible there are 101 texts that are important to African Americans. These texts could be a good starting point to have memorized and ready. 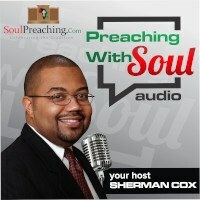 These are the fundamentals of preaching in the African American Community. These are your fundamentals. These are your scales. Practice them. Memorize them. Fit them in messages. See where they fit and where they don’t. What about texts that are important to your ecclesial tradition? Memorize them. To our Baptist sisters and brothers, have you practiced how baptism by immersion can illuminate other things? How does it fit in when you are preaching different sermons in different contexts. What about the historic Baptist call for liberty. How does that fit in? Those are your scales. The cross. We all preach the cross, but some of us when we preach it it is always shoehorned in like it is an addition to the message. Have you practiced that fundamental? What does the cross say to those who have lost love ones? What about to those who have lost a job. How about who have just received a promotion. Take a text and see what the text says about the cross. What does the text say about your other fundamentals. Maybe it doesn’t say anything, maybe it does. But remember we are practicing. How about Improvisation. Take those fundamentals and improvise on them. Evans Crawford talks about riffing on James Weldon Johnson’s book God’s Trombones. Why not begin with one of them and then take it in a different direction. Then how about taking a text and letting it take you in a different direction. Preach the text and then preach a sermon. The equivalent of playing songs would be to read sermons and “preach them.” One can practice Sermons from others and your own sermons. Follow the text closely in this practice and then improvise over the text. Sadly, many just copy others sermons and then preach them verbatim in the worship service. But I am not talking about that, I am talking about preaching them in the practice room. Preach them. There are tons of sermons available online. Or get a book. 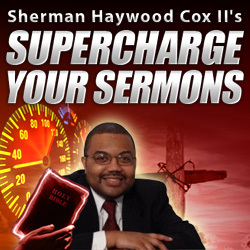 Classic sermons and even head on over to sermoncentral.com and check out some contemporary ones. Now some will say that they don’t have time to practice. I hear you, but what if I would have said that in my trumpet practice and then attempted to play. Well you know what would have happened. I think that we should spend more time practicing than just when we are preaching in the pulpit. Adapting a practice schedule of a trumpet player may not be exactly what we need, but certainly we can learn from those who spend time diligently working on their craft.